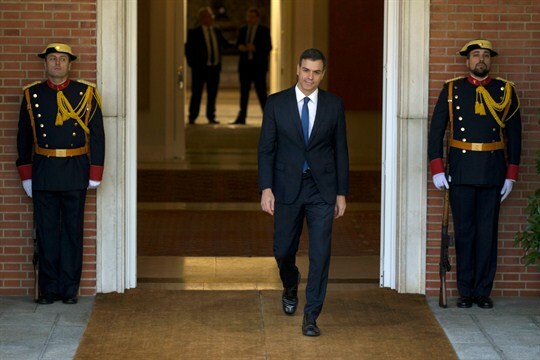 Spain’s new prime minister, Pedro Sanchez, at Moncloa Palace, the official residence for the prime minister, Madrid, June 4, 2018 (AP photo by Francisco Seco). Mariano Rajoy’s luck finally ran out. For years, the conservative Spanish prime minister succeeded by waiting out his problems. When it looked like Spain might follow Greece and Portugal in requiring a European bailout in 2012, Rajoy refused to ask for help. He was vindicated when the European Central Bank instead announced its massive bond-buying initiative, what is called “Outright Monetary Transactions.” The bank didn’t actually buy Spanish bonds, but the mere possibility that it might stabilized the markets.